Multnomah County District Attorney Rod Underhill recently participated in the 11th Annual American Bar Association (ABA) Criminal Justice Section Fall Institute held in Washington, D.C. 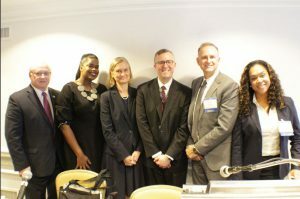 The ABA selected Underhill to be one of the speakers during the themed discussion of “Prosecutors as Agents of Change.” The event was moderated by Justin Bingham, the City Prosecutor for the City of Spokane, Washington. The panel discussed their role as change agents in the criminal justice system and ways to improve the criminal justice system for individuals arrested for possession of a controlled substance. Multnomah County District Attorney Rod Underhill shared among other things success of the Treatment First program, which is a partnership of the Multnomah County District Attorney’s Office, the Multnomah County Circuit Court, defense services, the Department of Community Justice (DCJ), local law enforcement and community treatment providers. 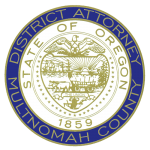 The program is dedicated to helping individuals break their drug dependent lifestyle, reuniting families, reducing recidivism and improving public safety in Multnomah County. The Treatment First program uses a validated risk-needs assessment tool. 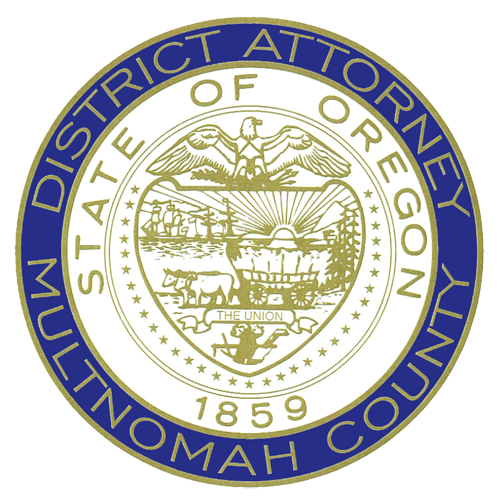 The District Attorney’s Office recognizes that the program serves a diverse population and as such, the program ensures each individual’s specific needs are met. People with low risk and low needs are assigned a Community Court treatment and supervision track, which will ensure their accountability to the criminal justice system while an individual who may be at high risk to recidivate and have higher needs for treatment is given intensive supervision. To learn more about the American Bar Association, please click here.